You can say, “I’d like your perspective on what the issue is and what is creating it.” In our example, others may find the employee difficult, but perhaps the others are being difficult to the employee. You don’t know, so provide ample space in the conversation for the employee to explain his or her perspective. You will likely get more robust information than you probably got from the “indirect” sources. The better the manager listens and understands the employee’s perspective, the more trust will be built between the employee and the manager. In many instances, the employee will fully admit to being “difficult” and will explain what their behavior was that would be interpreted as such. But the strategy session is about resolving the issue – not only the employee’s behavior. So make sure you get the employee’s perspective on what the issue is. This is the first part of a three part series on how managers can use “strategy sessions” to improve the performance of their employees and their team, as well as the manager’s own performance. Managers receive a lot of information about their employees from indirect sources – often much more information than from direct observation. I frequently write about how it is important that performance feedback be performed based on direct observation, or else it risks being non-specific and non-immediate, and generally becomes useless the less specific and less immediate it is. 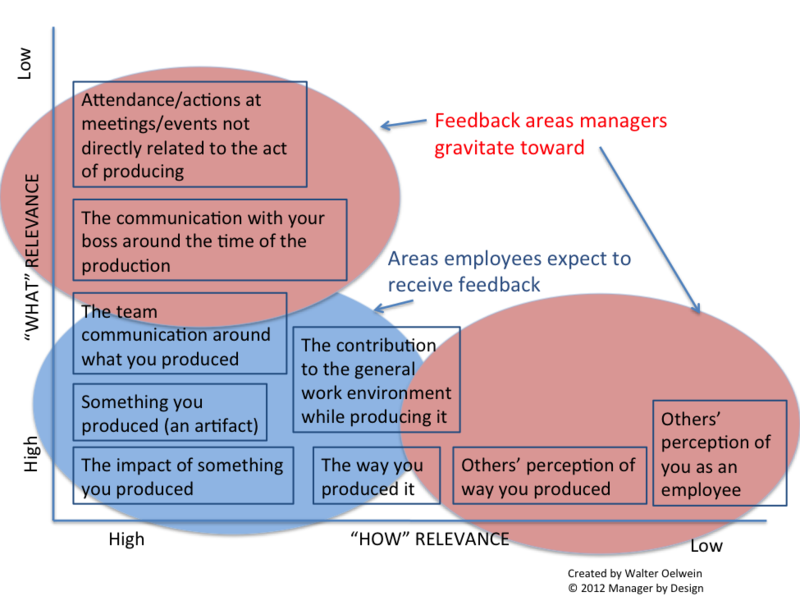 However, managers are not often enough in the position to observe directly what it is the employee did exactly and provide this level of performance feedback. And with all of the indirect information floating around – such as from customers, other employees, bosses and metrics – it becomes difficult to figure out what to do about it. Here’s an example I’ll use throughout this series: You are getting “feedback” from your employee’s peers and partners that he was “difficult” during a recent series of meetings. You’d like to give feedback on this. But what is it exactly that was “difficult” and why is this happening? And maybe this “difficult” behavior was actually a good thing? You really don’t know. My recommendation is, instead of having a “feedback conversation”, have a “strategy sessions” with your employee. The idea with strategy sessions is that you partner with your employee to figure out the best course of action moving forward to address the “feedback” (actually, it’s an indirect source of information) and still achieve the goals. In short, you and your employee strategize together.